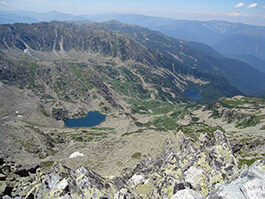 Retezat National Park holds almost 40% of the glacial lakes that exist in Romania. Situated in the Southern Carpathians, in the district of Hunedoara, Retezat National Park has an area of 54400 ha and an altitude between 800 and 2509 m.
The park was founded in 1935 on the area of 100 square km of the ex-hunting domain of the Royal House. The chamois were protected at that time, but soon they were hunted, reason for which from the beginning of the former century certain areas were chosen where grazing was forbidden. 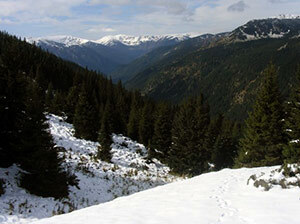 Retezat National Park – Southern Carpathians. The park has the status of protected natural area by a national and international interest and in 1979 it was recognized as a Reservation of the Biosphere. After the park was finished, scientists had in view the protection and preservation of some natural elements that have a very special physic-geographical, hydrological, geological, pale ontological, speleological, pedological and landscaping value. 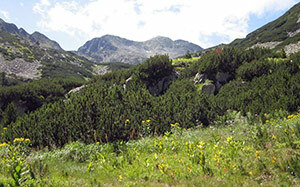 Last year, the European Council accorded Retezat National Park the “Diploma of Excellence for Protected Areas”. Starting the year 1999, the park has been organized by a professional administration, in 2004 it has become a member of the Pan Parks Foundation and since 2007 it has been protected by ecological European network “Natura 2000”, which aims at preserving the natural habitats and the plants and wild animal species that represent community interest. 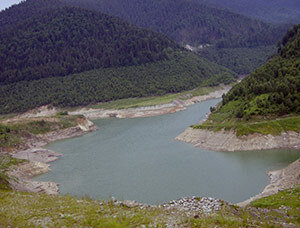 The water dam from Gura Apei – Retezat National Park. In 1974, the building of the water dam from Gura Apei started. (it is situated in Western side of the park). The flow of the Big River (Raul Mare) was not enough to fill the accumulation that was desired for building a rock-fill dam. For this to be done, block stones were used, blocks that were three times heavier than those used for the building of Keops’ Pyramid. So it was decided that a 23 km long tunnel had to be dug from Rausor. Towards both ends of the tunnel there are now asphalted roads, roads that influenced people to build chalets in the 80’s. 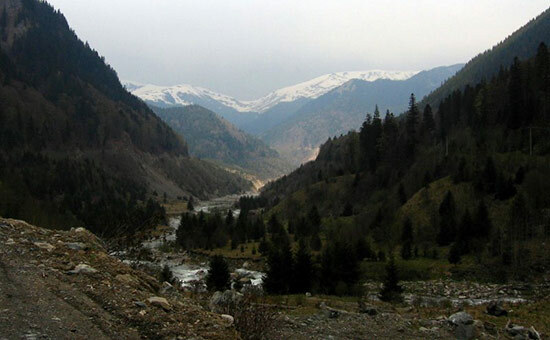 The Administration of the Retezat National Park wants to keep this environment natural and to fight against any tentative of mechanization the tourism, what Retezat Park is concerned. So therefore, there is no ski-lift, the park is only available by foot. 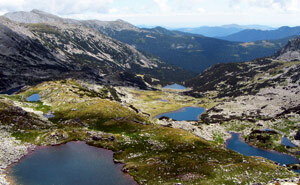 Retezat National Park includes two areas, one of them has a scientific nature. Any form of exploitation such as grazing, hunting, fishing, fruit picking, tourism camping, is forbidden. 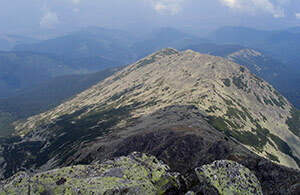 The access is allowed only with the permission of the “Council of the Monuments of Nature”. The second area is less restrictive, as grazing is allowed two months per year. The flora and the fauna are diverse. A third of the total species of plants in Romania can be found in Retezat. The 1200 species of plants make this area interesting for botanists, too. Their interest for Retezat has manifested for the first time in the second half of the 18th century. Since then, 90 types of plants have been discovered, plants that are specific to the Carpathian regions, many of them can be found only here. Also, here in Retezat, there is the largest concentration of pinus cembra, called traditionally “zambru”, a coniferous tree from the pine species. 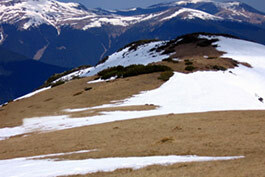 Retezat National Park shelters 55 species of mammals (22 of these species are protected by law) and offers fine conditions for the survival of the most important great carnivorous species from Europe (wolves and lynxes) The chamois, the stag and the deer are as well protected by the mountain. The limestone area of the mountain mass is used even today by the bears as shelter during the winter. The wild cats represent fauna richness as well, just like the marmots. (20 exemplars of the marmot from the Austrian Alps have been brought in the park, as part of an activity performed by the Romanian Academy, somewhere in the area of the Gemenele Lake. Now, the marmots can be found in all the important valleys and glacial circuses of the mountain mass). 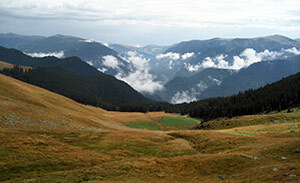 The total number of the animal species that live in Retezat National Park is higher than 1000. Bucura lake is the largest glacial lake in Romania (it’s almost 9 ha long), Retezat National Park. 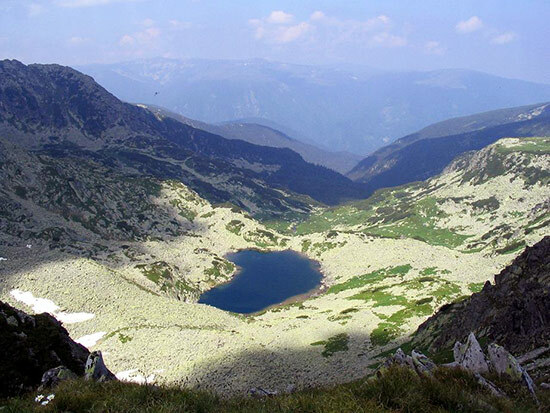 With almost 80 lakes, 58 being permanent lakes, Retezat Mountain Mass holds almost 40% of the glacial lakes that exist in Romania. 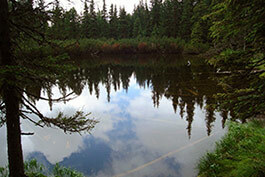 The lakes, fueled by the melted snow from the crests, offer dream-like views. 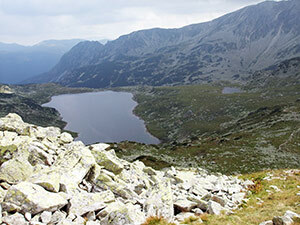 One of the most spectacular views is the one from the route between “Bucura” and “Zanoaga”. “Taul Portii”, “Taul Agatat”, “Florica”, “Viorica”, “Ana” and “Lia” lie one after another on the Southern slope of “Judelui”, and the circus formed between “Judele” and “Peleaga” is dominated by Bucura, the largest glacial lake in Romania (it’s almost 9 ha long). 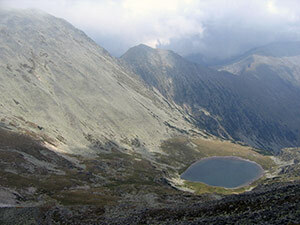 The deepest glacial lake is Zanoaga (29 m deep). Here one may discover the greatest water volume, almost 700000 cube meters. 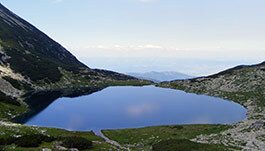 Zanoaga lake is the deepest glacial lake in Romania (29 m deep), Retezat National Park. The complex or isolated placement of the 58 glacial lakes into circuses, on the slopes, and their concentration into a single mountain mass attract not only the tourists, but they also draw the attention of the scientists. 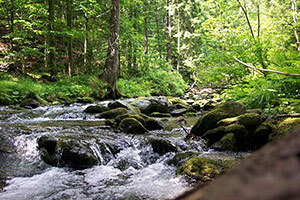 The lakes and the rivers are populated by the trout and the viper can be seen in the limestone areas. 30 % of the tourists that come in Retezat every year are foreigners. They say that the visit Retezat because of two important aspects: the beauty of the landscapes and the wilderness of the area. Retezat Park attracts people like a magnet, because it is overwhelming, spectacular and hospitable. Retezat National Park, general view. Retezat National Park was chosen by New 7 Wonders Foundation as a great challenge for becoming one of the seventh natural wonders of the world. The approach belongs to New 7 Wonders Foundation, the same institution that succeeded two years ago to determine the 7 wonders of the contemporary world. (Objectives created by man). 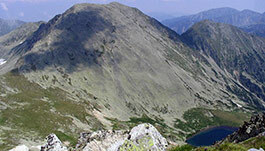 Retezat National Park, view from Retezat Peak – 2485 m.
The access in the Retezat National Park can be made from two directions: Hateg Depression and Valley of the river Jiu. To arrive in Hateg Depression one may come from Deva, following the DN66 route or from Caransebes, following DN68 route. One can get to the Valley of the river Jiu, coming from Deva or Tg Jiu on the DN66 route. 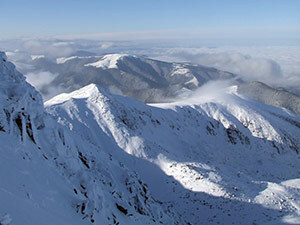 From Hateg and Petrosani there are more ways of access into the mountain mass. The common transport is provided by private local companies. The route is Petrosani-Lupeni-Uricani-Campu lui Neag. From “Ohaba de Sub Piatra: to “Carnic” the transport is provided by the inhabitants of the SNCFR flag station. 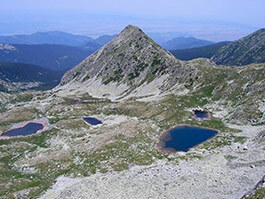 Bucura lake, Retezat National Park. Buna. Am o mare rugaminte la cunoscatorii zonei. Exista cumva camping la Gura Apei?? is it posssible to travel the long trak in rezret park in the middle-end of october or is it too cold? are the cabbins still open? I did a search for animal species of romania and got this article. Helpful, yes. A litttle cloudy on the camping, forbidden but thousands of out of country visitors. Where do they stay? I mean to see this stuff , can you pack in ? Leave nothing, take out what you take in. ETc..
Este fff minunat,ce poate exista in lumea asta numai D-zeu stie, sunt din romania de origine, acum in tara straina, dar nu am avut nici-o data sansa sa ajung, dar cine stie poate vreo data !!!!!!!! Deosebit, frumos, fascinant, te copleseste cu frumusetea si varietatea florei si faunei, putem spune un loc mirific.